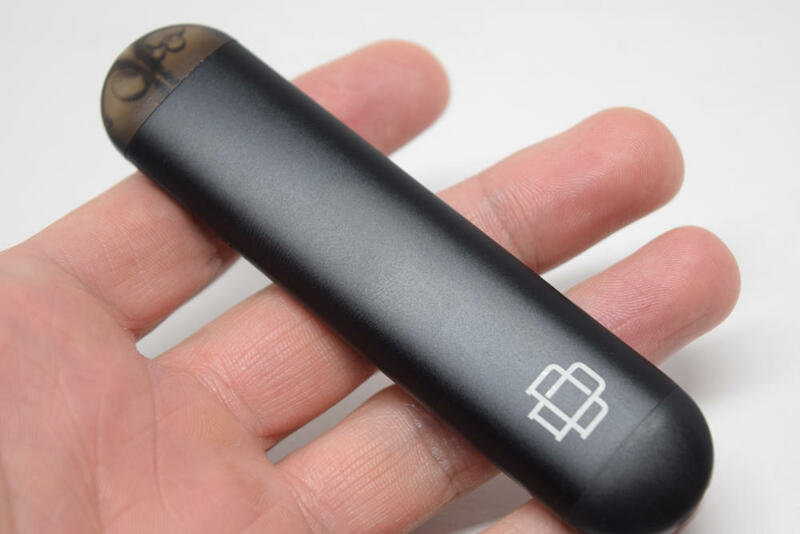 Augvape was one of the few major vape manufacturers that hadn’t yet come up with a proprietary pod system, but you can scratch their name off that very short list, because they recently launched their own vape pod, called Lyfe. 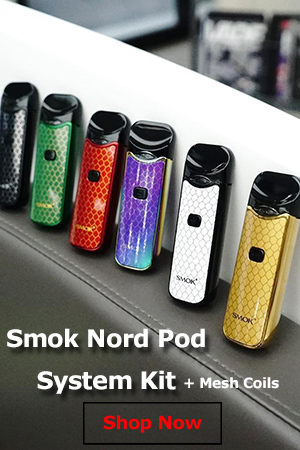 Now Augvape may be a bit late to the party, but the fact that a company would invest in a product that’s extremely similar to countless others on the market just to grab a piece of the pie is a testament to how insanely popular pod systems are these days. 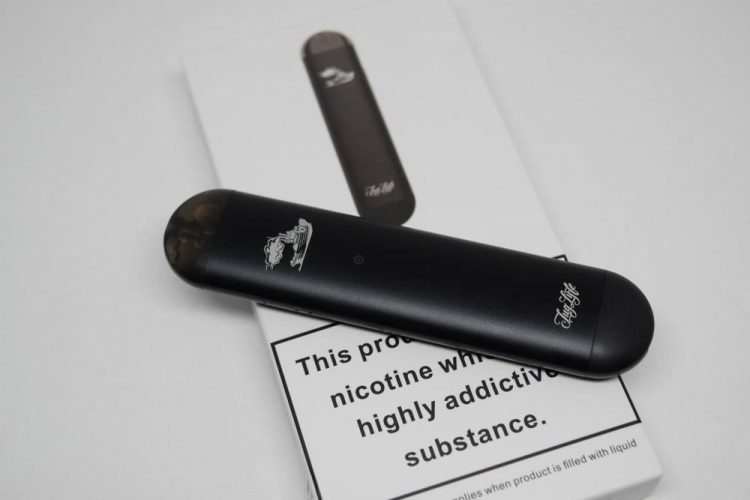 The Lyfe Pod comes in a small, white cardboard box with a small picture of the device and a nicotine warning on the front, and a list of contents, as well as some technical information, on the side of the box. Inside the packaging, we have the sleek Lyfe pod system, a spare refillable pod and a short micro-USB cable tucked into a Styrofoam holder, as well as a user manual. That’s about all there is to this kit, but it’s actually more than some other manufacturers include. For example, many of the other pod systems I’ve reviewed lately don’t even include a spare pod, so kudos to Augvape for setting a positive example in that regard. It may not seem like a big deal, but if you accidentally dry-burn your only pod when vaping for the first time, having a spare is kind of important. The Lyfe Pod is the result of a collaboration between Augvape and American e-liquid company Flawless. Basically it was designed by Flawless in the US and assembled in China. I can’t say it’s the most impressive vaping device I’ve ever seen, but for a pod, it’s actually pretty cool. 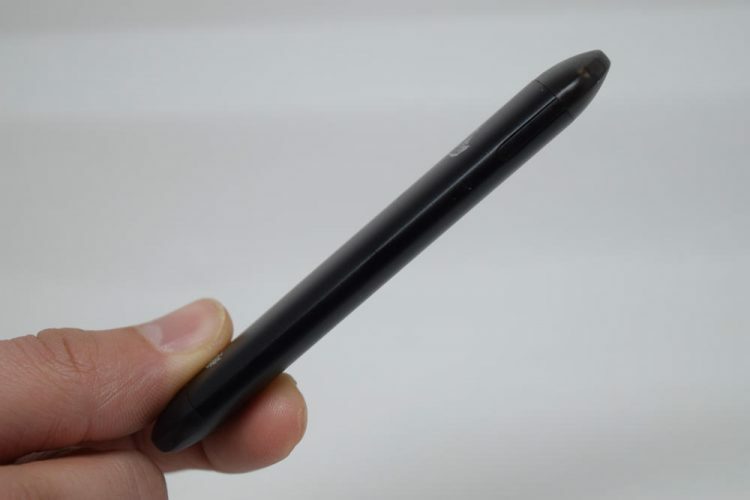 It’s sleek, ultra-light, fits in the smallest of pockets and is very comfortable to hold both in the hand and in your mouth. It consists of a flattened metallic tube which houses the battery and a small board, and a detachable plastic pod, which holds the e-liquid. The Lyfe is symmetrical in the sense that both the top and the bottom are rounded off exactly the same, which is a bit of a problem. 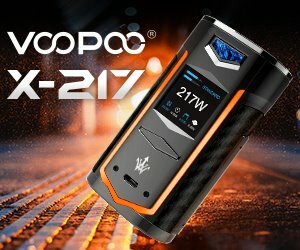 I’ve found myself grabbing the device and trying to vape on the wrong end more times than I care to remember, so if Augvape ever comes up with version two, they may want to take that into consideration. 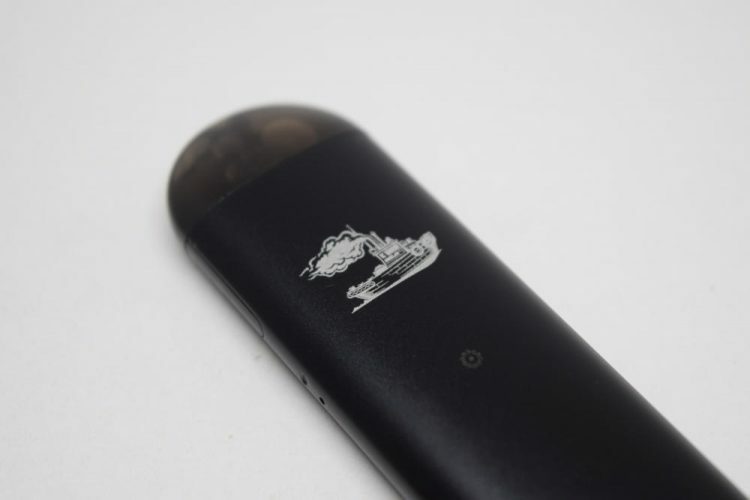 In terms of branding, the Lyfe Pod features a tugboat and the “Tug Life” logo on one side, and the Augvape Druga logo on the other. 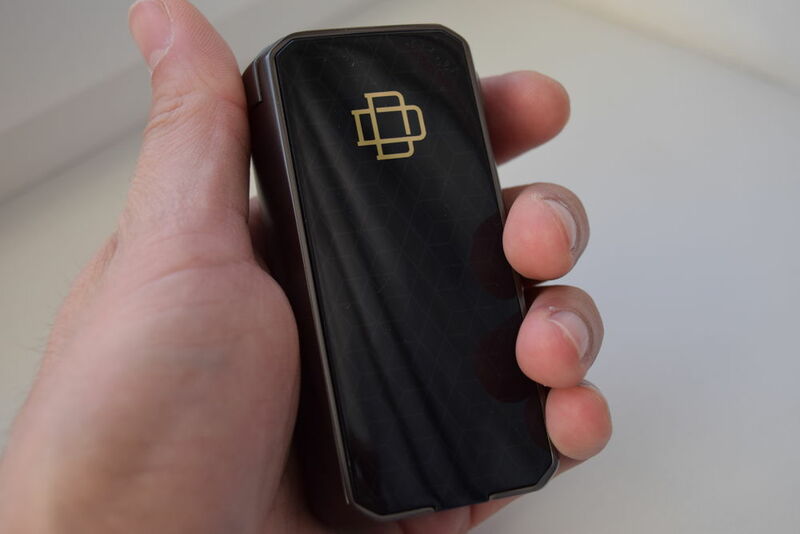 I’m not sure Augvape is familiar with the definition of ‘tug life‘, otherwise they may have gone with something less controversial, and I don’t really get the Druga logo either, as this isn’t sold under the Druga brand, like the Foxy mod, for example. Don’t get me wrong, the branding looks ok, it’s just a little confusing. This is a draw-activated device, so it doesn’t feature any buttons. 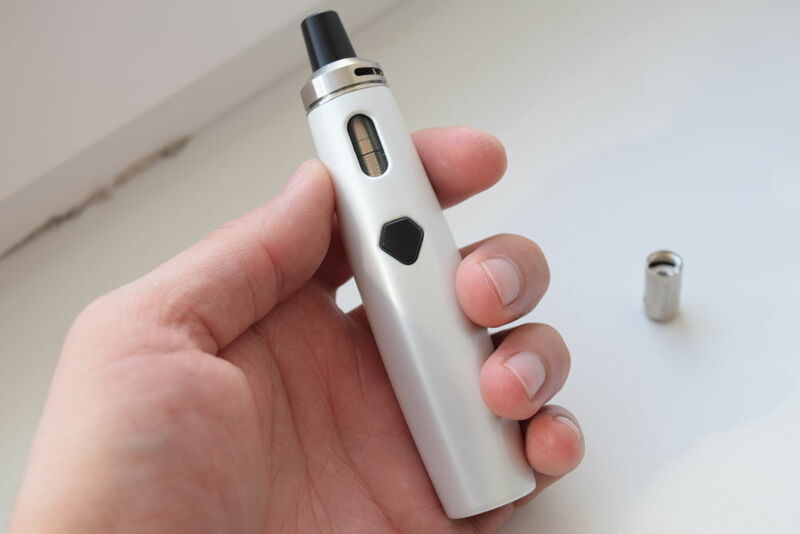 All you have to do is draw on the mouthpiece of the replaceable pod and an automatic switch will activate the battery. The only other elements worth mentioning here are the small LED indicator underneath the tugboat logo, and the micro-USB port on the very bottom of the battery tube. The refillable Lyfe pods are made of tinted plastic, hold up to 2 ml of e-liquid, and come with a built-in 2Ω horizontal coil. Neither the user manual nor the Augvape website mention what material the coils are made of, but according to a description on the Flawless online store, they are made of kanthal. 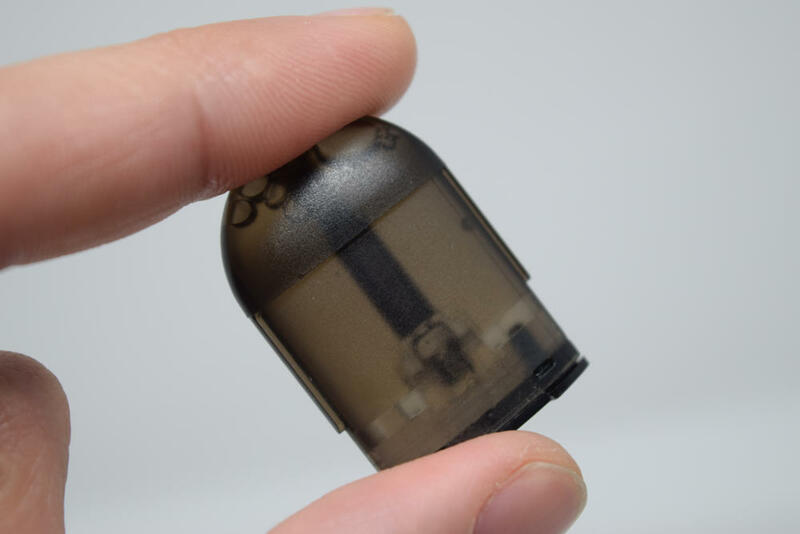 The fill port is located on the bottom of the pods and is sealed off with a rubber plug. The filling hole isn’t the largest I’ve ever seen, but it fits a small glass dropper, so you should have no problems filling it. The rounded mouthpiece of the pod is very ergonomic and comfortable to hold between your lips, but these pods do have some design issues. 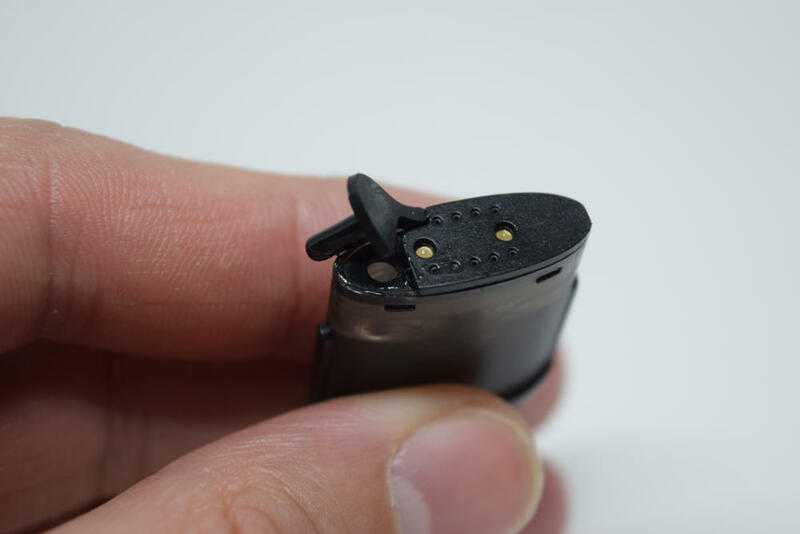 First of all, taking out the pod can be tricky, because it snaps in tightly into the battery bay, and because you can’t grip it properly. There’s only that rounded mouthpiece sticking out, and trying to pull on it can be frustrating, as it’s very slippery. Another issue I have with the pods is that there’s no way to check the juice level inside without taking them out of the battery bay. And you definitely want to keep an eye on the juice, as a singly dry puff is enough to ruin a perfectly good pod. 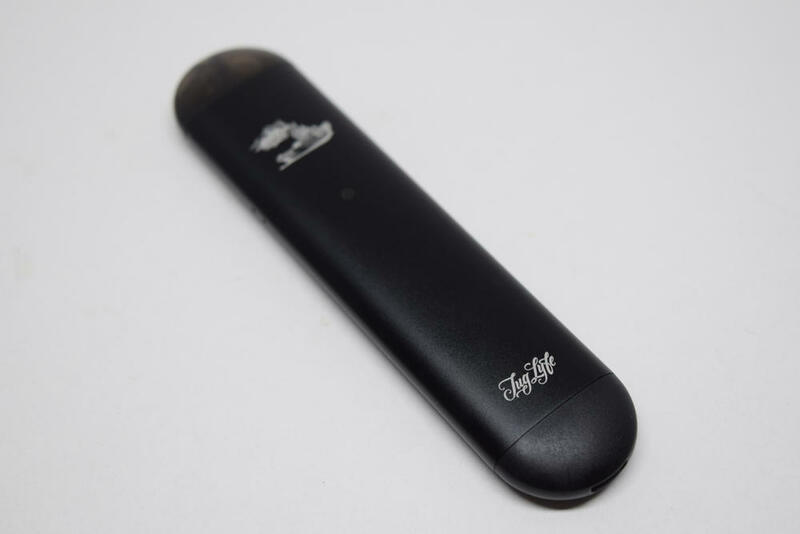 The Augvape Lyfe pod is powered by a 300 mAh battery. 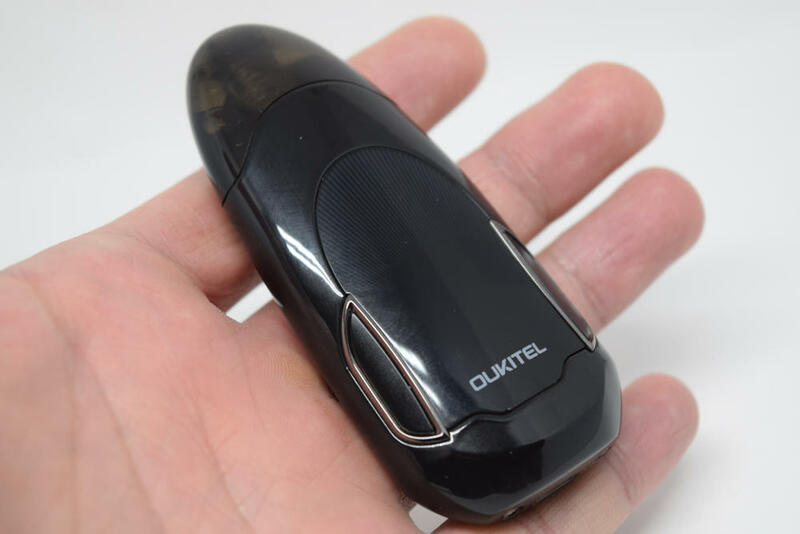 That’s not very impressive, to be honest, as most pods on the market today have at least 400 mAh battery capacity, with some, like the Eleaf iWu, or IQ OVS going all the way up to 600mAh or even 700mAh. But I could definitely overlook the low battery capacity if this thing featured vape-while-charging technology, which the Lyfe does not. That’s right, you can’t use this pod system while it is charging, and that’s a huge con as far as I’m concerned. I like to vape while working on my laptop, but if I can’t charge and vape it at the same time, what am I going to do when the pod runs out of battery? Just wait until it charges to satisfy my nicotine craving? No way! The lack of passthrough functionality is a major con, and the fact that the LED indicator on the device only goes from green to red when the battery needs recharging only makes it work. At least give me a heads up so I can charge the darn thing a bit before it stops working completely. I feel that Augvape really dropped the ball here, and it’s a shame, because the Lyfe is otherwise pretty cool. Performance-wise, the Augvape Lyfe is among the best pod systems I have ever tried, and there have been a few. It has that very tight, cigarette-like draw that I’m sure fresh ex-smokers and MTL vapers are going to love, the draw activated switch is very sensitive and has so far worked flawlessly, and I’ve had no leaking problems at all in the six days I’ve been using it for. Vapor production is pretty decent as well, especially if you do a couple of primer puffs, and the flavor, while not the best I’ve ever gotten from a pod system, is definitely not bad. One thing I one to point out about the Lyfe pods is that the coils take some time to break in. You may even get a weird, cotton-like flavor at first, but you’ll feel the flavor kick in after a while. So be patient, and know that the taste does get better. As for pod life, it all depends on what type of juice you’re using. I’ve been vaping a very lightly sweetened, clear tobacco-caramel juice, and six days in, the coil is still going strong and the flavor hasn’t changed considerably. Sadly, the Augvape Lyfe feels like a wasted opportunity. It’s not a bad pod system, it actually performs really well, but it could have been so much better if they hadn’t overlooked some basic features, like passthrough capability. I still can’t understand why they didn’t implement that, especially with such a small battery capacity. 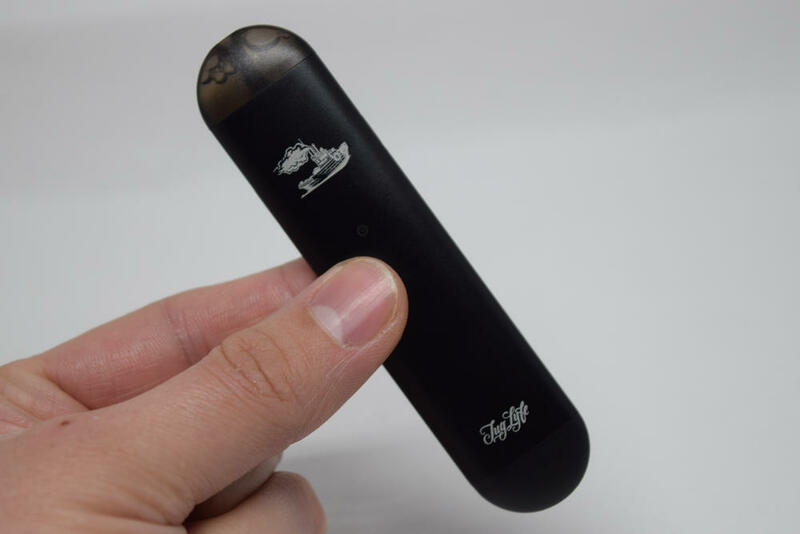 The symmetrical design can be confusing as well, and wish taking out the pods was easier, but I could have easily looked passed these flaws, if only I could vape the Lyfe Pod while charging it. I enjoyed using the Augvape Lyfe, and if you’re a fan of ultra-compact, light vape pods, you’ll probably like it too, but just be aware of its serious shortcomings. The Augvape Lyfe was sent to me directly by Augvape for the purpose of this review.